I love flowers! 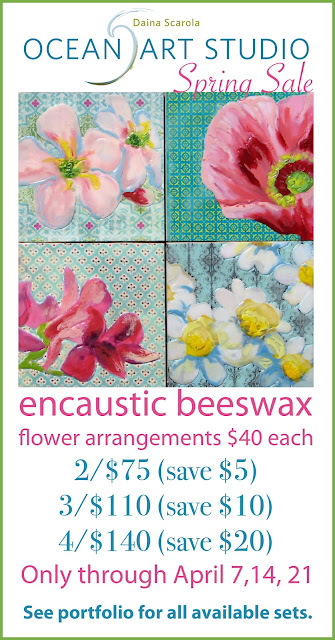 I love picking them, painting them, arranging them, and smelling them, even flowers painted with beeswax. This month I'm offering a great deal on my little encaustic collage sets. I was at the Toronto One of a Kind Show last week and had such a great response to these little artworks. One thing I noticed was that people wanted to make sets or arrangements with them. So I've made it easy for you by making a few sets that I think work well together. They can be seen in person at the Halifax Seaport Market at my regular booth #135 down the back corridor facing the bay doors overlooking the harbour. They really need to be seen in person to appreciate the texture and detail but you can get an idea in the 2nd image below. If you don't live in the Halifax area and would like to collect these little gems, please email me at daina@artbydaina.com and include the reference # for the set you're interested in (see the numbered image portfolio below). 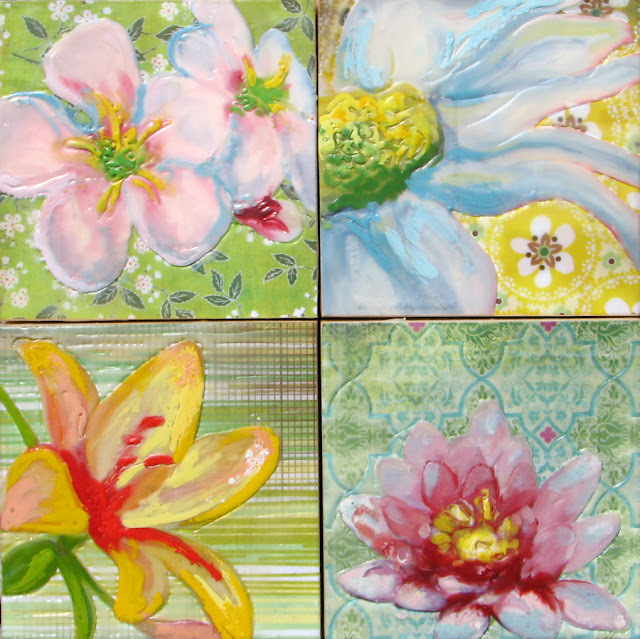 Set of 4 encaustic flower collages. See #2 in the portfolio below. Set of wild poppies, 5"x5" each panel. #13 in the portfolio below. Encaustic flower collage portfolio. Sets are identified by numbers. 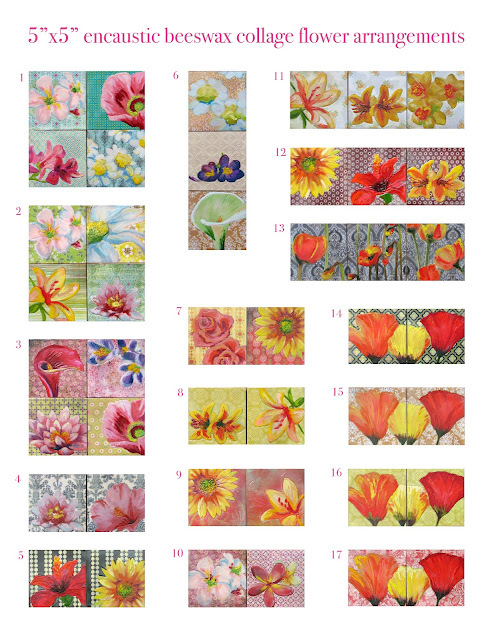 Each individual collage is 5"x5" on a cradled wood panel. 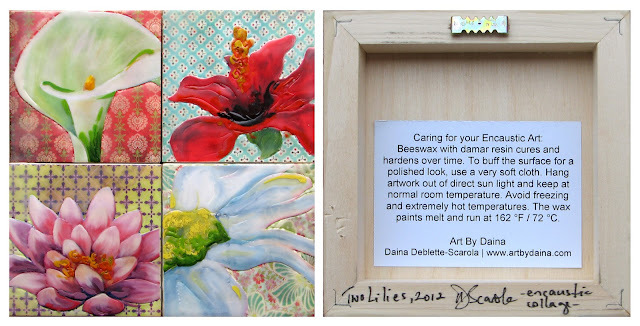 The image on the right is a close-up view of the back of each collage panel, showing "how to care for" instructions.